Suzuki SX4 S-Cross 1.4 Boosterjet SZ5 ALLGRIP 5dr Auto 2019 Review | What Car? What Car? will save you at least £3,262, but our approved dealers could save you even more. 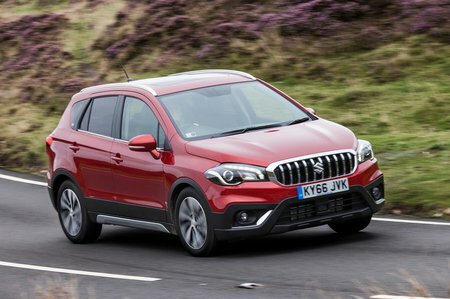 The Suzuki SX4 S-Cross is hard to beat when it comes to value for money. With a turbocharger to boost power, the smooth and nippy 1.4-litre petrol is actually the best of all the SX4 S-Cross engines. However, because it’s only available with 4WD it is the least green and least economical unit in the S-Cross line up.